In the moments leading up to Israel’s independence, America’s diplomats did everything they could to stop the process, and the president, cold. 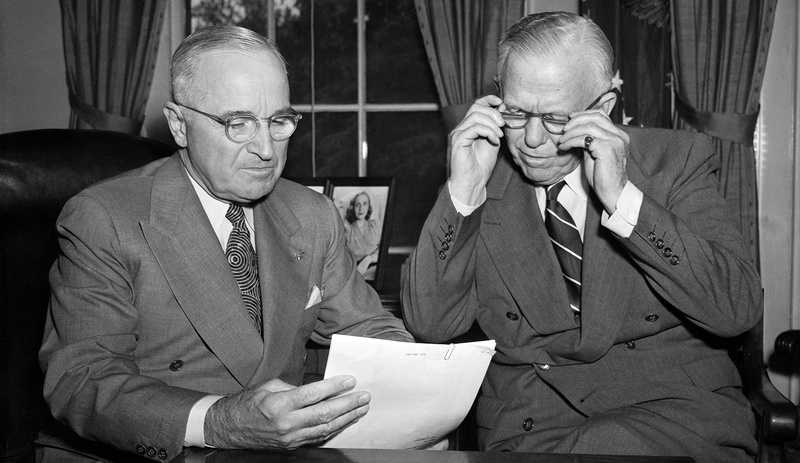 President Harry Truman and Defense Secretary George C. Marshall in 1951. Getty. Efraim Karsh is director of the Begin-Sadat Center for Strategic Studies at Bar-Ilan University, emeritus professor of Middle East and Mediterranean Studies at King’s College London, and editor of the Middle East Quarterly. 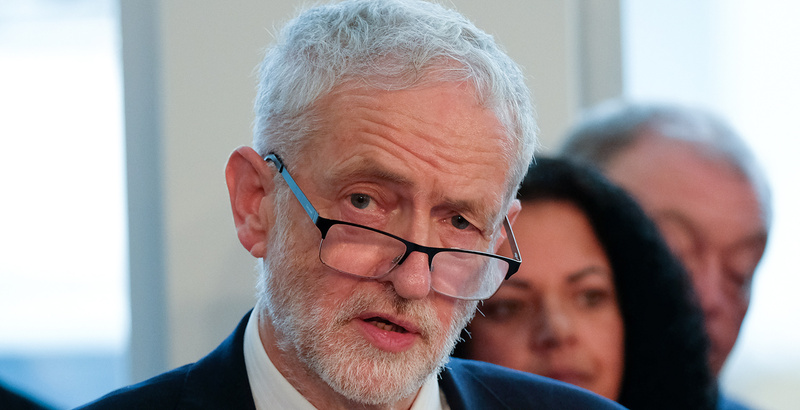 He is the author most recently of The Tail Wags the Dog: International Politics and the Middle East (Bloomsbury, 2015). 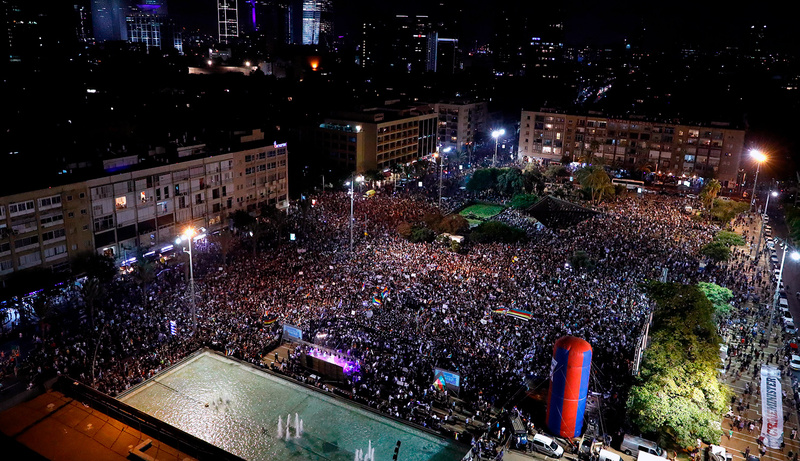 As Israel celebrates its 70th anniversary, Martin Kramer has shed fresh light on a key event in the days immediately preceding the proclamation of the state. This was the marathon meeting of the People’s Administration, soon to become the state’s provisional government, on May 12, 1948. Among the topics on the participants’ minds was the massive international campaign, led by the U.S. Department of State, to postpone any declaration of independence until such time as a UN-sponsored truce could pacify the situation in Palestine, where Arab anti-Jewish agitation was at a high pitch. Here I wish to embellish Kramer’s account by focusing on a truly contentious battle of opinions on this same subject that took place within the leadership of the United States. Fortunately for the Zionists, they had in Washington one powerful ally in their fight against the latest ploy to defer, if not to abort, the creation of a Jewish state: namely, President Harry Truman. Indeed, at precisely the same time as their own deliberations in Tel Aviv, Truman was laboring to convince George Marshall, his formidable secretary of state, that the U.S. should extend recognition to the soon-to-be-declared Jewish state. Ever since the November 1917 Balfour Declaration—the first international recognition of the Jewish right to national self-determination—the idea of “turning the Holy Land over to the absolute control of the race credited with the death of Christ,” as Secretary of State Robert Lansing put it at the time to President Woodrow Wilson, had been anathema to the State Department. And while, following Wilson himself, all subsequent U.S. presidents endorsed both the Declaration and the attendant League of Nations mandate for the “establishment of a Jewish national home in Palestine”—as did the U.S. Congress in a July 1922 joint resolution—the State Department worked indefatigably to subvert the Jewish national movement. Matters came to a head in November 1947 when the UN General Assembly was about to approve the partitioning of Mandatory Palestine into separate Jewish and Arab states. Having failed to persuade the world organization to desist from this move, and faced with the president’s own support for partition, the State Department colluded with the British foreign ministry to slash the territory of the prospective Jewish state by depriving it of the Negev desert—nearly half of Palestine’s total size. It was only Truman’s last-minute intervention, after a dramatic secret meeting with Chaim Weizmann (who 30 years earlier had been the driving force behind the Balfour Declaration) that nipped the plot in the bud. The first I know about it is what I see in the papers! Isn’t that hell? I’m now in a position of a liar and a double-crosser. I never felt so in my life. There are people on the 3rd and 4th level of the State Dept. who have always wanted to cut my throat. They are succeeding in doing it. Yet, for all his exasperation with the “striped-pants boys” (as he dismissively called State’s bureaucrats), and despite the warning by the U.S. consulate in Jerusalem that “both Arabs and Jews regard trusteeship scheme undesirable and most observers feel bloodshed will now increase tremendously,” Truman refrained from disavowing the State Department’s proposal. Marshall, the most illustrious member of his cabinet, had positioned himself solidly behind the move, and the president was wary of antagonizing him. We must persuade the more moderate Jews in this country to break the hold which a minority of extreme American Zionists now has on American Jewry so that Jewish leaders in this country, instead of continuing to push Palestine Jews into an extremely nationalistic position, will endeavor to impress upon them the importance of assuming a reasonable and moderate attitude with the Arabs. One such “reasonable and moderate” person was Judah Magnes, the pacifist, American-born president of the Hebrew University in Jerusalem, whom Henderson lost no time in transporting to Washington. There he met Marshall on May 4, dutifully assuring the secretary that the administration had needlessly been “too apologetic” in pushing its trusteeship proposals. Instead, Magnes urged, U.S. sanctions were called for: these would stop “the Jewish war machine in Palestine” dead in its tracks and disabuse the country’s “artificial” Jewish community of its dreams of statehood. 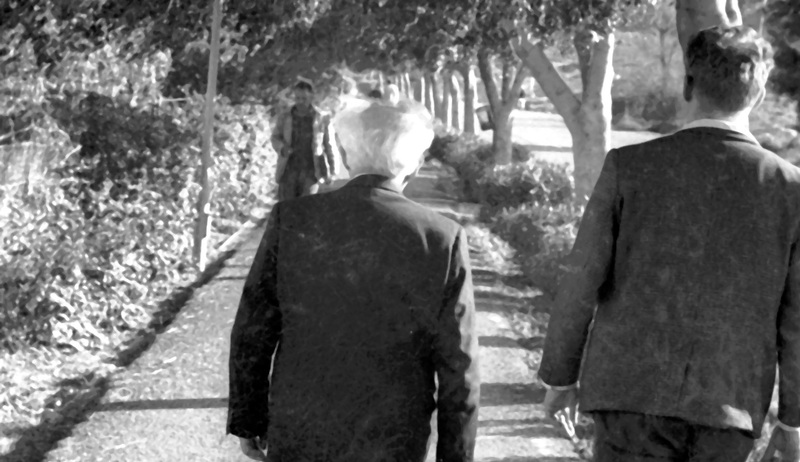 Impressed by “the most straightforward account on Palestine” he had yet heard, the secretary arranged for his guest to be seen by President Truman. Truman, however, was unimpressed, and for good reason: Magnes’s esoteric views were fully as unacceptable to the Palestinian Arabs, who insisted on a unitary Arab state where Jews would be reduced to a small subject minority, as they were to most Jews. So the State Department was forced to up the ante. 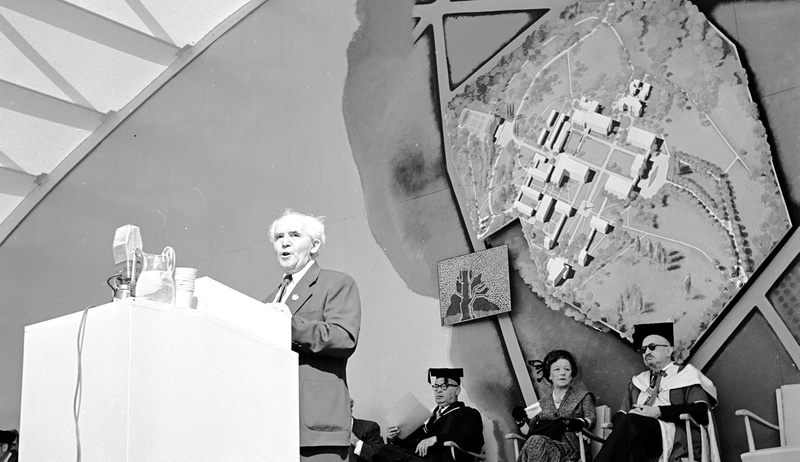 Austin now proposed a second UN resolution prospectively condemning any proclamation of a Jewish state as a violation of the Security Council’s call for a truce, while Dean Rusk, Assistant Secretary of State for UN affairs, pushed forward an old-new British proposal handing most of Palestine to the neighboring Arab states and “leaving the Jews a coastal state running from Tel Aviv to Haifa”—a tiny fraction of the territory assigned to them by the partition resolution. More important, having gained a false impression of Shertok as wavering, State’s operatives sought to exacerbate his (presumed) worries. This culminated in a personal meeting with Marshall on May 8 at which—as Martin Kramer relates—Shertok, as the Jewish foreign-minister-in-waiting, was unceremoniously warned off any proclamation of statehood and informed that if, nevertheless, a Jewish state were to be declared, it could expect no American help in the likely event that the military tide were to turn against it. 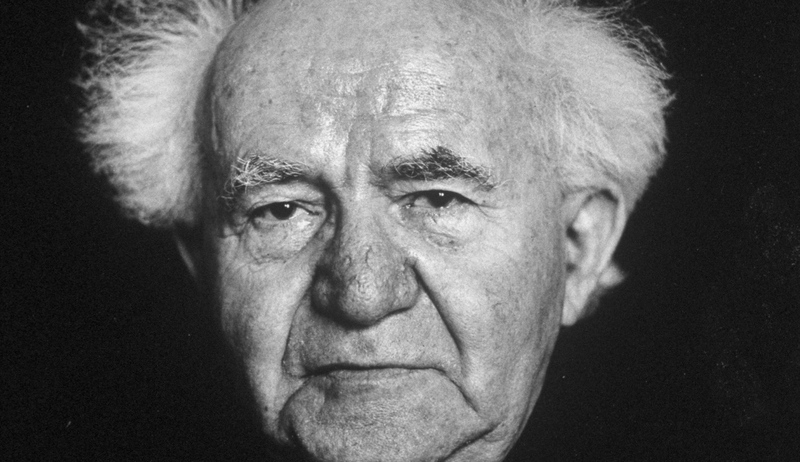 Shertok would duly report this message to David Ben-Gurion and the other members of the People’s Administration. That it failed to produce the department’s desired effect was vividly illustrated by a May 11 New York Times story titled “Jews to Proclaim State despite U.S.” And so, in a last-ditch effort on May 12—the same day as the marathon meeting of the People’s Administration in Tel Aviv— Marshall and Lovett met with Truman and his young special counsel Clark Clifford. The encounter turned out to be exceptionally nasty. Treated by Clifford to an impassioned plea for prompt U.S. recognition of the Jewish state upon termination of the British mandate, Lovett launched a frontal, no-holds barred assault that decried any such proposed move as a transparent political ploy designed to procure Jewish votes in the looming November presidential elections. 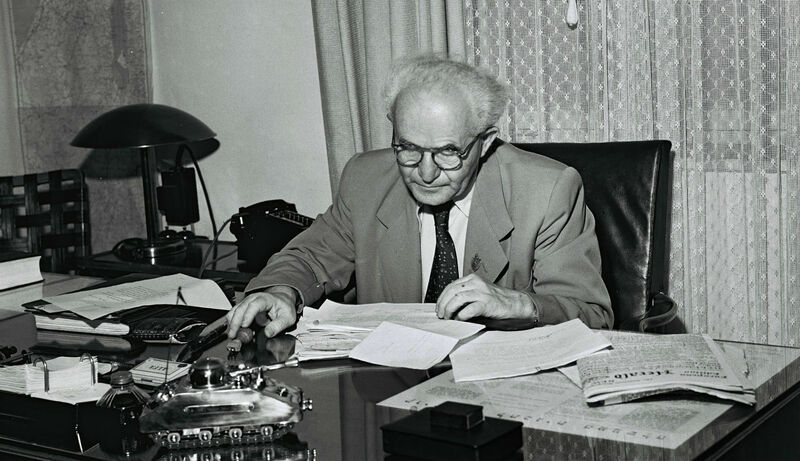 More substantively, he argued that recognizing a Jewish state prematurely would not only be injurious to the UN but would also be “buying a pig in a poke.” “How [do] we know what kind of Jewish state would be set up?” he asked, producing a pile of intelligence reports alleging that many Jewish immigrants to Palestine were in fact Communist agents working for the Soviet Union. Unlike at the Tel Aviv meeting, no concrete decision was taken in Washington that day. Truman’s personal integrity had been blatantly impugned, but still he would not force Marshall’s hand. Yet there was little doubt where his heart lay. Two days later, the Jewish state was proclaimed in Tel Aviv, and Clifford informed Lovett that, should it make a formal request for recognition, the president was inclined to recognize it immediately—not least on the grounds that, after 6:00 p.m. eastern time, there would be no other government or authority of any kind in Palestine. While conceding that there was no legal bar to recognition, Lovett nevertheless requested that it be withheld for another day or more to allow the department time to study the text of the proclamation and inform both its UN delegation and the British, French, and Belgian governments with which it had been collaborating in a bid for a new truce resolution. Declining this request, Clifford phoned Eliahu Epstein, the Jewish Agency’s Washington representative, to say that recognition would be forthcoming that same day and suggesting that the official request be submitted to the White House without delay—which it was. Even at this late stage, Lovett did not lose hope. At 5:30, a half-hour before Britain’s Palestine mandate expired, he called Clifford to ask again for an extension, at least until the General Assembly finished its deliberations around 10:00 p.m. After a quick consultation with Truman, Clifford declined this request as well, authorizing Lovett to inform Ambassador Austin that official action was imminent. This was done by Rusk at 5:45, whereupon the infuriated ambassador abruptly left UN headquarters and went home without saying a word to his staff or colleagues. I was later told that one of our U.S. mission staff men literally sat on the lap of the Cuban delegate to keep him from going to the podium to withdraw Cuba from the United Nations. In any event, about 6:15 I got a call from Secretary Marshall who said, “Rusk, get up to New York and prevent the U.S. delegation from resigning en masse.” Whether it was necessary or not, I scurried to New York and found that tempers had cooled sufficiently so that my mission was unnecessary. My protests against the precipitate action and warnings as to consequences with the Arab world appear to have been outweighed by considerations unknown to me, but I can only conclude that the president’s political advisers, having failed last Wednesday [May 12] to make the president a father of the new state, have determined at least to make him the midwife.